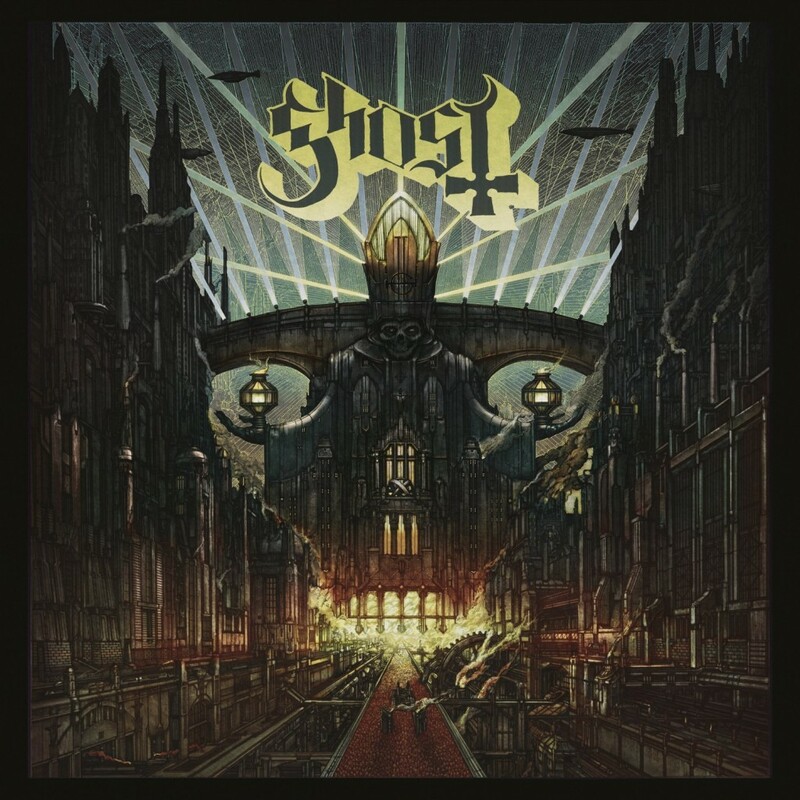 In 2010, we were blessed with the first installment of the Ghost gospel, preached by the Ghouls and their then leader Papa Emeritus, Opus Eponymous. Three years later, a new leader, Papa Emeritus II blessed the world with Infestissumam. 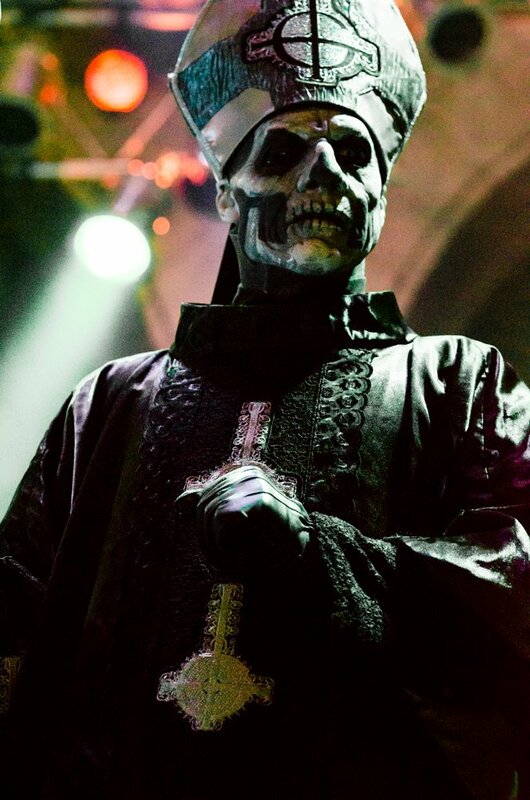 Now, in 2015 A.D., we have been given the newest Testament by Ghost, with our newest leader Papa Emeritus III, who is slightly younger than the Papa before him. Meliora was released on August 21, 2015 A.D. and is an interesting record that rounds out this unholy trinity of albums. Meliora is available now in stores! The album opens with a strange, futuristic effect, like something you'd see in an episode of Star Trek. This opening track, titled "Spirit", takes you even further away from the safety of the typical Christian gospel. "Throw yourself into the smoke of possibilities." 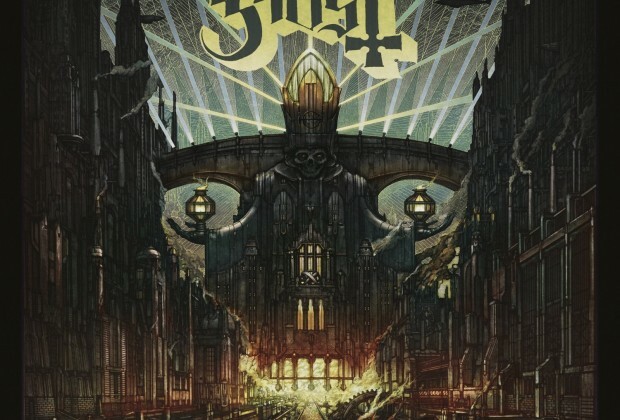 Obviously, their tongue in cheek game with the occult has made it difficult for Ghost to truly propel into every home on Earth, but this opener is musically sound and calm enough to pull someone in who has not heard Ghost before. It's a wonderful lead in to the rest of the album. Following "Spirit" is the newest single off of Meliora. When I first heard "From the Pinnacle to the Pit", I wasn't impressed with how the song began. It started off with a very harsh sounding bass riff, but as the song went on, I fell in love with it as it softened into the chorus. For those who know the story of Lucifer, this is a beautiful telling of his story. I think a lot of people associate Lucifer with evil. Sure, he was cast out of Heaven for defying God, but why does that make him evil? Lyrically, this makes him seem more human, especially with the lyrics during the chorus of "You will wear your independence like a crown". My only dislike with "From the Pinnacle to the Pit" has nothing to do with the song itself, but actually the music video that was recently released for it, which takes old film and adds strange graphics, ending with Papa Emeritus III. For me, the video didn't capture the beauty of the story, but that's alright. It's still an amazing track. 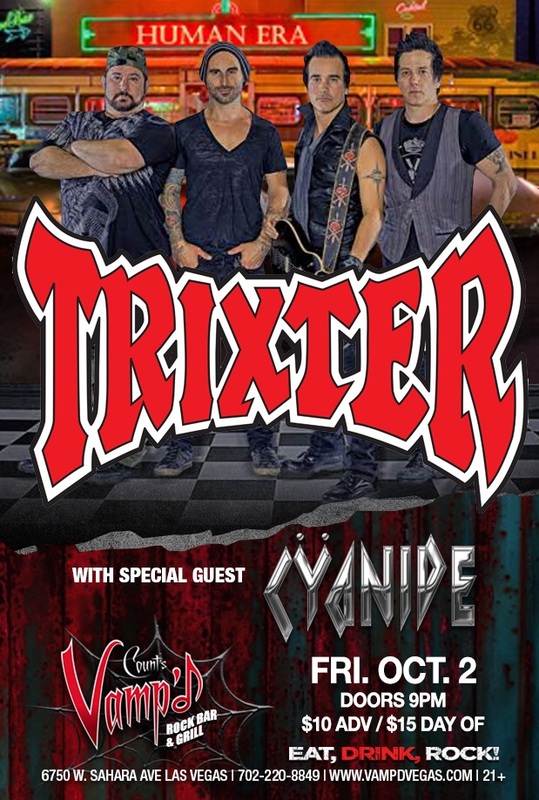 The third track is "Cirice", which was released as a free download on the band's website on May 31, 2015 A.D. The track begins much like the track before it, a bit harsh and heavy, but as it approaches the chorus, it softens drastically into a beautiful piano. The second chorus grows even more quiet, featuring Papa's voice. His voice in this song is full of up and down emotion, and at times it's almost like he is begging for forgiveness with it. I have to say that musically this is one of the best produced tracks on the album. It was an amazing choice as a teaser for the album itself, and left many Ghost fans, much like yours truly, chomping at the bit for more. Papa Emeritus II at House of Blues Las Vegas-April 2014. The album itself takes a turn with a short instrumental called "Spoksonat", which is very soft, like a lullaby. Following this comes "He Is", which begins with a very Renaissance sounding kind of guitar. Originally written for Infestissumam and put on the shelf, the song itself is a lyrical proclamation of love for Lucifer. You know those commercials we used to see all the time in the late 1990s-early 2000s? Songs of Worship? If a commercial were to come out all about Luciferian songs of praise, Ghost would be the Amy Grant of that commercial with this track. 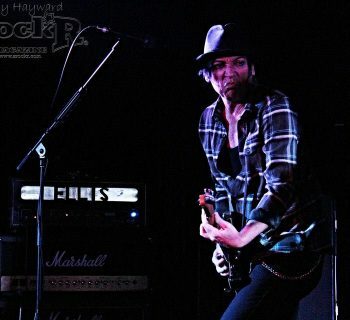 After "He Is", the album goes back to the heavier sound we heard earlier with "Mummy Dust". The song itself is well done. Papa's vocals are almost like whispering growls throughout the song, which when combined with the quick piano scale that plays throughout the chorus, makes this sound like it could easily be used as a horror movie theme. As it progresses, we are introduced to an organ and then a choir, which kind of threw me off. Even though it is still a great track, it is probably my least favorite on the album itself. To me, this track sounds more like a reject of Infestissumam as opposed to the track before it and the overall sound on the rest of the album. Keeping in tune with the heaviness that is throughout the entire album, "Majesty" makes you realize that this entire album is a story. This New Testament is seeming to speak of the Apocalypse to come. This song is not so much of a proclamation like "He Is", but more along the lines of a song of praise. 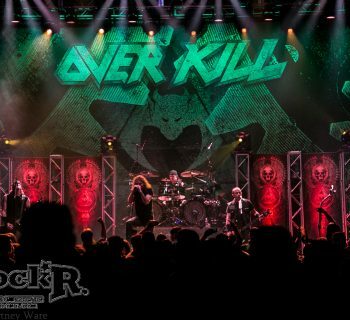 It is filled with amazing drum fills and guitar riffs, and much like "Mummy Dust", a choir and organ are featured in this as well, but it ties together with the song much better. Following "Majesty" is another instrumental titled "Devil Church", which is the entire band except for Papa, playing along with the organ and choir. It fades out in a distorted film type of sound, which transcends perfectly into the next track. "Absolution" was the second single released off of Meliora. This song captures the reality of our time here on Earth with its opening line of "ever since you were born, you've been dying". As you listen to the lyrics of the track, you realize that as humans, we usually do whatever it takes and take down whoever we have to in order to get our heart's desire. This song eludes to the fact that basically everyone is going to Hell with the lines of "all those things that you desire you will find here in the fire". In the end, we will all "reach for the sky" and "cry for absolution". I'm sure not a lot of people will admit it, but this song hits the nail on the head in a lot of ways, if you believe Hell exists. The final track on the album, "Deus In Absentia", takes this a bit further. The beginning of the song is simply the ticking of a clock. It is nothing like "Monstrance Clock" off of Infestissumam though. This is a song of someone in their final moments, begging for forgiveness. This is repenting at its finest. My eardrums were visited yet again by choirs, but unlike before, it is haunting and tugs at your heart. It rounds out the album perfectly, like a funeral. 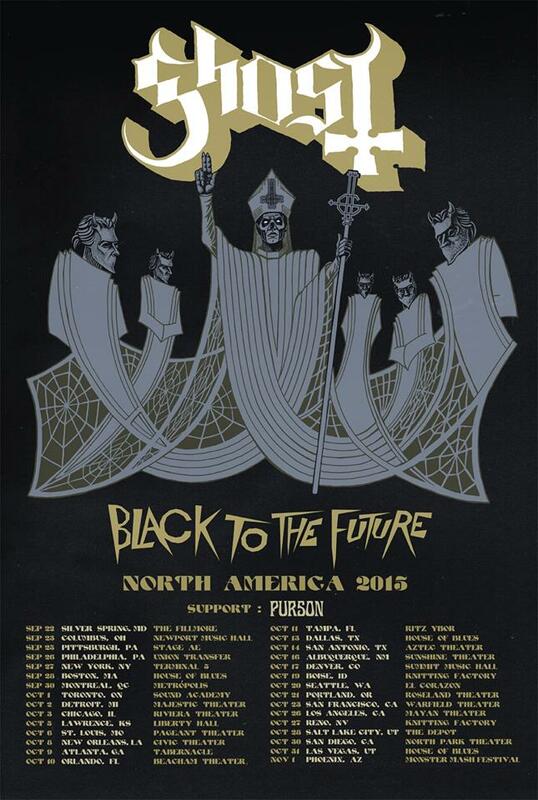 Tour dates to see Ghost on their North American Black to the Future tour! Photo Credit: Alexander Zayas - Used with Permission.